Early discount pricing through January 28th. For more information please contact matt@nycsoftballleague.com. Free agent sign ups are NOT available for this league. The league will start up April 1st and run through approx. mid June (depending on rainouts). Location and Times: Our spring weeknight league takes place at both East River Park and Randall’s Island. Teams will play at both locations and location requests are not guaranteed. Teams will play one game per week most weeks, but limited double headers are possible as necessary. We will do our best to work with your team’s times requests. – East River Park games take place Thursday nights with games available between 6 pm, located Houston and the FDR. – Randall’s Island games take place Monday-Thursday nights with start times available from 5 pm till 7:30 (game times vary during the season depending on available daylight). Teams will submit their top two preferences for days of the week and we will limit your team’s schedule to those days only throughout the season. Randall’s Island is easily accessible by public transit via the M35 bus departing from 125th and Lexington. You can also walk to the fields via the Triborough/RFK at 125th. Want to save $40 off your team sign up? 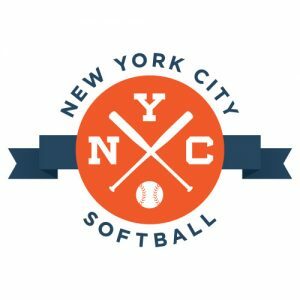 – Contact matt@nycsoftballleague.com about alternative payment methods that waive your $40 processing fee – Venmo (save processing and get an additional $20 off via Venmo), Paypal, Chase Quickpay, or check payments. Sorry, we can’t offer this discount for free agent sign ups.